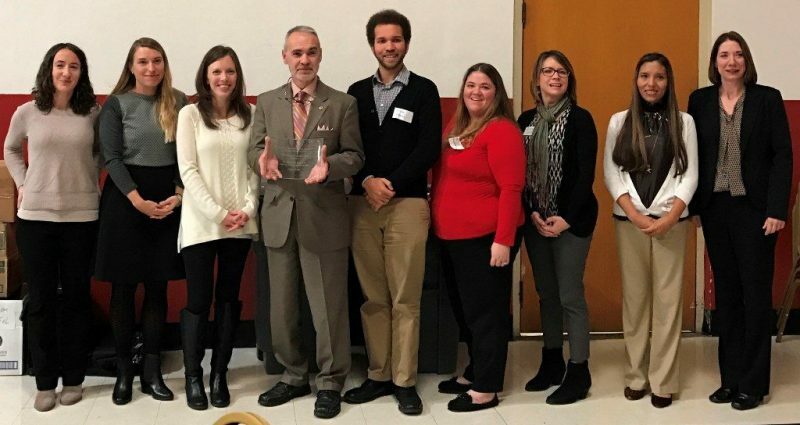 Legal Aid’s Immigration Team was recognized for its service to the immigrant community by the Alliance for Immigrant Women (AIW) at its Biennial Conference! “Immigration law has special pathways for immigrant survivors of domestic violence, sexual assault and human trafficking, but most survivors can’t take advantage of them without the services of an experienced immigration attorney,” commented Kelly Malone, Managing Attorney for Legal Aid’s Family and Immigration Practice Group. “The team’s expertise and dedication to helping survivors is outstanding. They always answer calls from AIW and take on the hardest cases”. Team members are pictured l.to r: Suzy Firestone, Maggie Fibbe, Jamie Landvatter, Adolfo Olivas, Blake Gibson, Nora Hernandez, Lisa Lee, Mayra Casas Ugarte, and Anne Lucas.